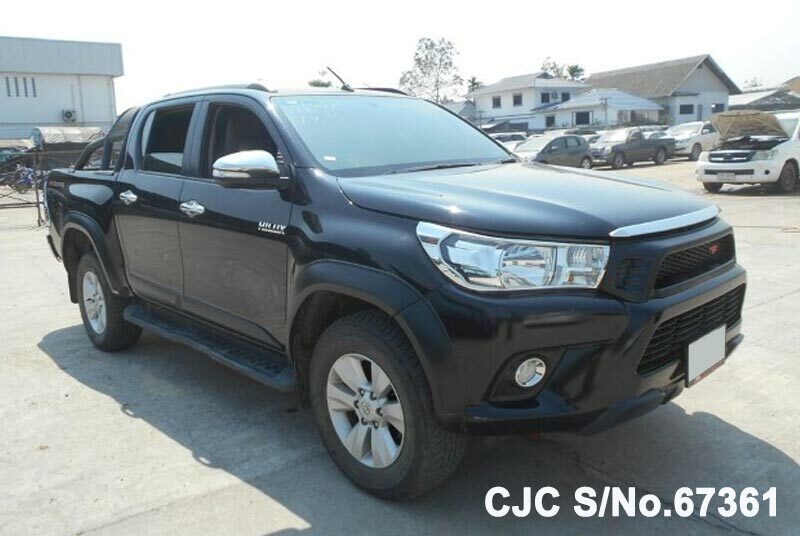 Toyota Hilux Revo Rocco is a high end stylish compact pickup truck ideal for its urban trendy stunning look to draw an instant noticeable attention of all ages of customers. 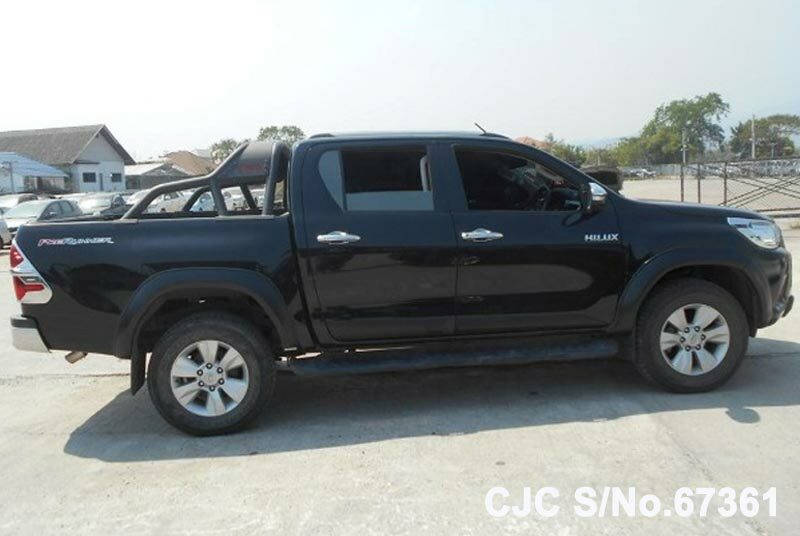 It is a Thai made pickup truck built with a distinctive flair and bold catchy appeal. The popularity of ‘Rocco’ pickup is rapidly increasing in Tanzania as it is receiving an immense sense of appreciation from the younger generation audience. 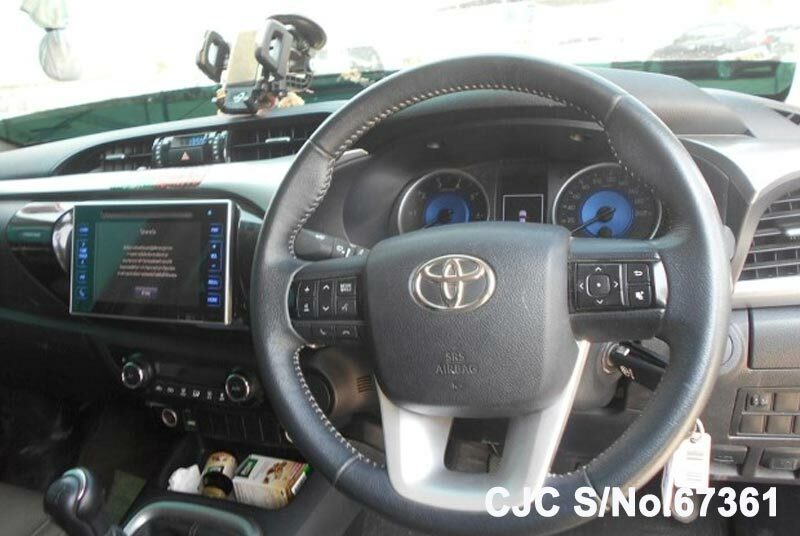 It drives smoothly on all kinds of harsh off-road terrains and a perfect choice for all keen driving enthusiasts ever ready for outdoor fun adventure. 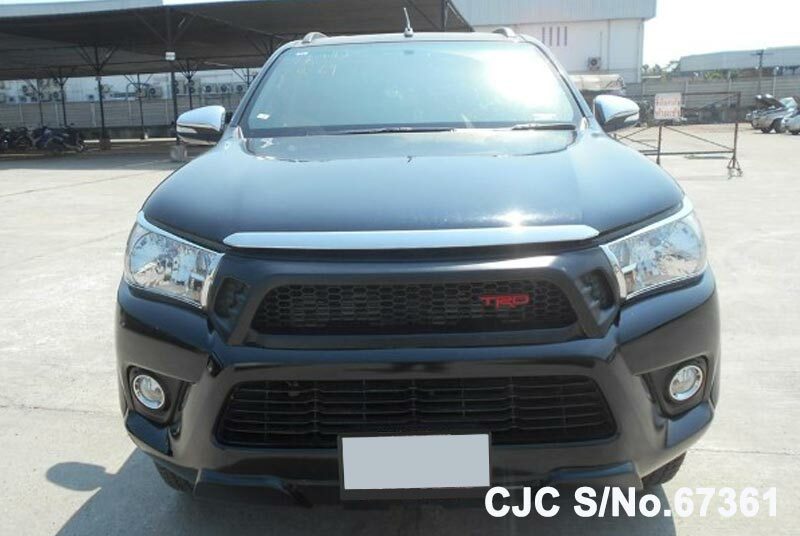 Coming back to the exterior which is made of robust sleek design structure and composed of larger front LED headlights, black metallic hexagonal shape emblem grille, lower grille, under spoiler C –Shaped front fog lights, front bumper, power side door mirror, and 18-inches of alloy wheels. 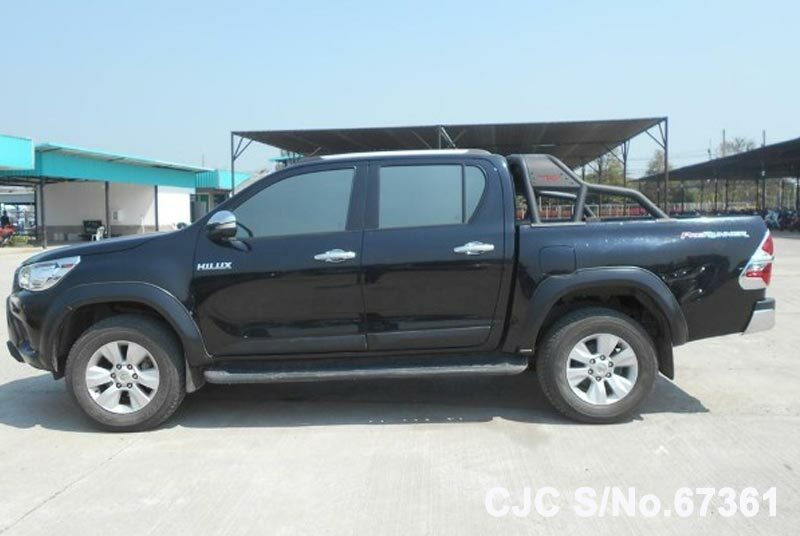 The backside also has a nice attractive display combined with vertically fitted LED Taillights, lockable tailgate, flatbed cargo loading capacity, and gray metallic rear bumper. 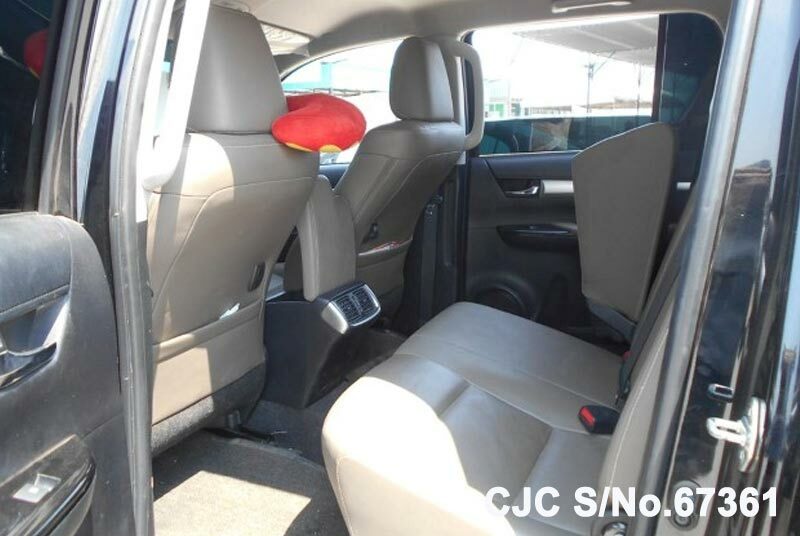 Interior side offers a spacious well-decorated seating design with advanced features added as a multi-information display, Optitron Meter, Cruise Control, Smart Key, Push Start button, and 7 airbags for the secured driving journey. 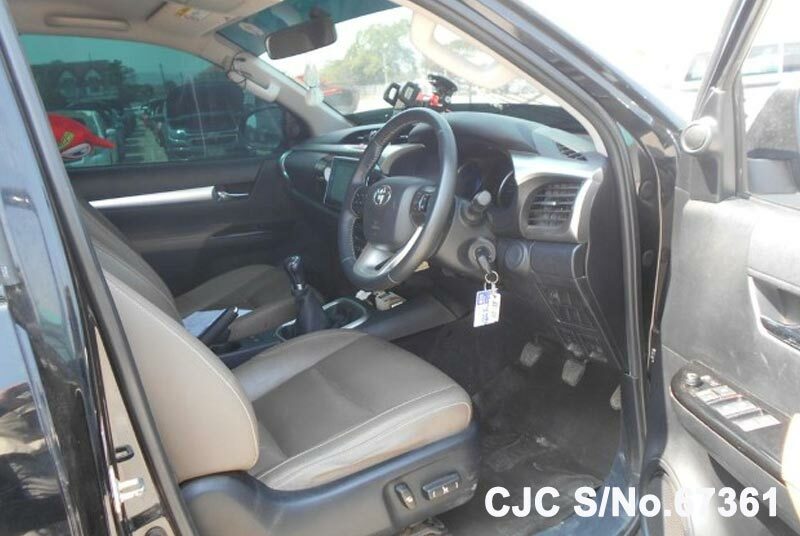 As for the driving performance, it features varied choices of 1GD, 2GD Diesel engines.